A yearly calendar of our meetings, events and various society orchid shows in and around New England. 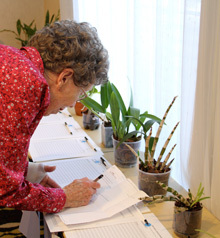 Helen began her career growing orchids on her windowsill, winning AOS awards for her windowsill-grown Paphiopedilums and Phragmipediums. 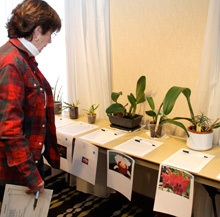 She will be sharing culture tips, including which orchids are best suited to windowsill growers. She will also have orchids for sale. We will have the usual “grow and show” table and raffle. Also on display will be club members’ orchids. Members will be on hand to answer questions. Enter through rear. Auction will take place downstairs. Club member Kyle Fiedler will lead this meeting, entitled: Growing Orchids in LECA as a medium.” LECA, or light expanded clay aggregate, is an aggregate made by heating clay to a high temperature in a kiln. Members are asked to bring in a plant that needs re-potting and the club will supply the LECA. There will also be the usual Grow and Show table and raffle. This month’s topic of discussion (with handout) will be: The many uses of hydrogen peroxide in growing orchids. We will also have the usual “grow and show” table & raffle. Please join us at our members’ annual holiday party! Please try to attend this important members’ meeting, where we will discuss upcoming nominations for the club election in January. We will also draw up the list of what the different positions involve as well as a list of members who are interested in filling them. As usual, there will be a Grow and Show table. Dr. Harold Hills, who has been studying orchid fragrances for 30 years, will present a general overview of how fragrances are collected and analyzed. He will explain when fragrances are produced and how they change over the course of the day and during the life of the inflorescence. We will also learn how changes in photoperiods, the length of time orchids are exposed to light and darkness, affect fragrance. No plants will be offered for sale at this meeting. How did your orchids spend their summer vacation? How did your orchids do over the hot summer? Did you grow them inside? Outside? Members will be sharing their successes and problems and how they prepare their plants before they bring them back indoors. Please join us at our annual members’ get together. The club will provide pizza and drinks and members are asked to bring side dishes and dessert. There will be Grow and Show and a discussion of what people are doing with their orchids over the summer. We will also discuss plans for next season. This month’s meeting will focus on something different: growing orchids from seedlings. Each participant will receive an orchid seedling, a pot and growing medium. We’ll pot them up at the meeting and discuss their care. Next year, we’ll bring our seedlings to a meeting to see how they fared and compare growth. Discussion of our club’s Nutmeg Orchid Show display. The show took place March 17-18. There will be a Grow and Show table filled with members' orchids, and members will be happy to answer your orchid questions. 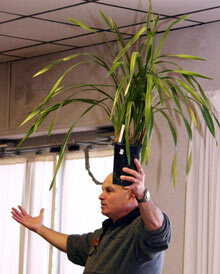 This month’s speaker will be Glenn Decker, owner of Piping Rock Orchids, Galway, N.J. Piping Rock, an award-winning grower specializing in Paphiopedilums and Phragmipediums, has been in business for 20 years. Glenn will have a variety of orchids for sale. There will also be a Grow and Show table and a raffle. This meeting will feature an extra-large grow and show table. What do you have in winter bloom and what was your holiday party gift? Please bring it in so that we can learn about some unusual orchids. You can also bring in plants you are having trouble getting to flower. 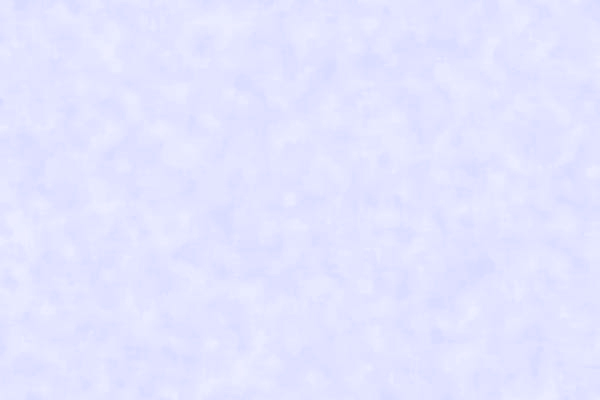 No bug problems, please! The annual OSOS members' holiday party, featuring a catered luncheon, will take place at 1 p.m. 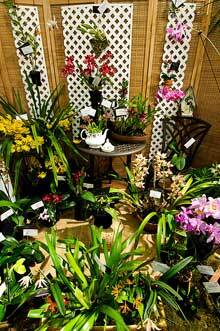 This meeting will be devoted to a discussion of our club's participation in the Massachusetts Orchid Show, which takes place at Mahoney's Garden Center in Winchester from November 3 - 5. Several of our members have entered plants in this show and will be bringing those plants to our meeting. Any plants purchased by members at the show should also be brought in. 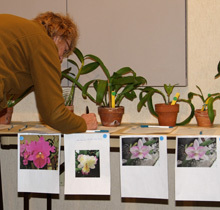 Members will discuss the “show plants” in the context of the club's display as well as their merits as individual plants. Plants that won awards will be considered in the context of what made them winners. As for plants purchased at the show, members will be asked to talk about what prompted them to buy those particular plants. Did you know that orchid flowers have evolved for a single purpose: To seduce pollinators? We will view the PBS documentary, “Plants Behaving Badly,” and discuss the role of pollination in orchids. Silent auction: Bring plants from your collection that you no longer want for a silent auction that will take place during the meeting. No bugs, please! As always, there will be a Grow and Show table and a raffle. Bring your blooming plants, as well any plants you might be having problems getting to bloom. No bugs please! Members will also be discussing bringing their plants outside for the summer; which plants do best outdoors and how to prepare and place them. Topic: Yes, you can grow vandaceous orchids! Kim has been growing orchids since 1968, specializing in Paphiopedilum and smaller vandaceous plants. This auction will feature fascinating and beautiful orchids imported from a grower in Hawaii. There will also be a “grow and show” table filled with members' orchids. This event is open to the public, and whether you come to buy plants or just to look, members will be pleased to answer your orchid-related questions. This meeting will feature an extra-large grow and show table. Bring your blooming plants and those you are having trouble getting to flower. No bug problems, please! The February monthly meeting will be replaced by a field trip on February 11 to the New Hampshire Orchid Society's annual show. Anyone who grows orchids has been confronted with the pests that can infest them. Members will share their experiences with orchid pests and the controls they have used. The American Orchid Society's DVD will serve as the basic guide for the discussion. There will be a Grow and Show table. The Ocean State Orchid Society's exhibit at the Cape & Island Orchid Show 2013. Grow & show table at the July meeting/summer celebration. BELOW: Photos from our 2015 & 2010 auctions. Decisions, decisions, 2015 OSOS Silent Auction. Auction bidding at the 2015 OSOS Silent Auction. Over 50 orchids at the 2015 OSOS Silent Auction. Orchids for auction clearly labeled for quick, easy bidding. © 2004 - 2019 Ocean State Orchid Society. All rights reserved.